Perfect Shirt For Your Interns! – Igenious Idea! The New York Agency JWT had an ingenious idea for their interns. 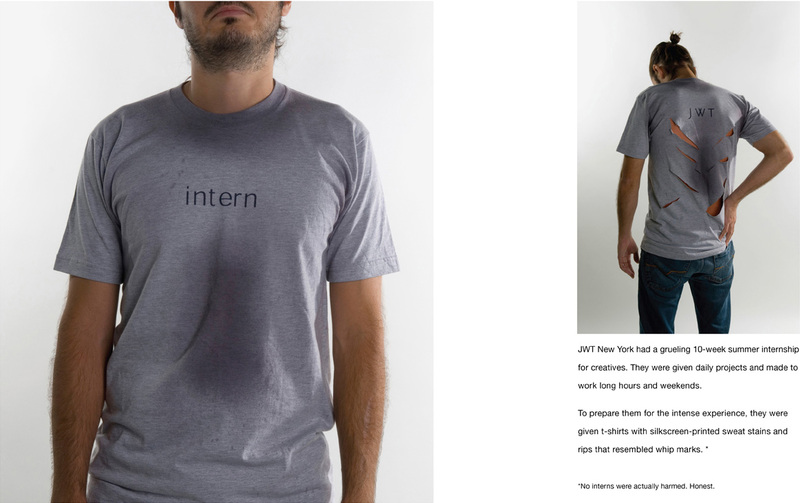 To prepare their interns for the intense 10-week summer internship they created this great t-shirt with silkscreen-printed sweat stains and rips that resembled whip marks. Hilarious! Do you also know some great shirts with such a creativity? I want a perfect white shirt that is a man’s style shirt, with an over sized collar while at the same time tailored. I have seen people wearing them but can never find one! !